This is what happens when a bored housewife decides to procrastinate. She doesn’t want to do dishes, wash and fold laundry or iron anymore. 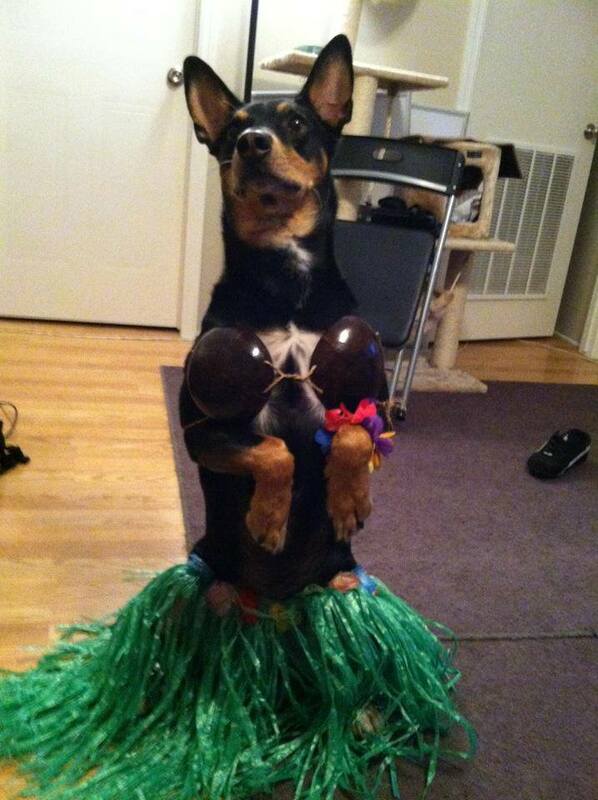 So she comes up with a plan to surprise her husband when he comes home from work and finds his male dog dressed up like a Hawaiian Hula Dancer.